The boy was so pale you would have thought he was a ghost. A wraith. Something insubstantial that would vanish into nothing at all. His hair was the colour of moonlight, very fine and very straight, and his skin was milky-white with a dull translucence to it, like wax. Indeed, so fair was he that at a distance he seemed to have no eyebrows or eyelashes at all and this incompleteness only emphasized his ephemeral appearance. "Hello Conor", James replied. "Won't you come in?" 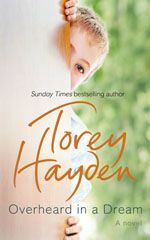 Conor is nine and autistic, or at least this is what his mother, Laura, an aloof, self-absorbed novelist, thinks when she entrusts his care to child psychiatrist James Innes as a stop-gap while the family finds the boy a new residential placement. In contrast, Conor’s rancher father, embroiled in divorcing Laura, does not feel there is anything wrong with boy. Six year old sister Morgana insists Conor really does see ghosts. Only when Laura falls into her role as a storytellerdoes James gain access to the complex turmoil engulfing the family, learning of Laura’s own difficult childhood, full of loneliness and abrupt change which combined with vivid imagination to create the fantasy figure of Torgon, a woman with sacred powers, a sort of alter ego with whom Laura establishes a rapport so profound that it has affected not only her life but the lives of all those around her. Between his sessions with Conor and Laura’s haunting stories, James slowly uncovers a world where what is imagined is as real as what is physically present but is still not enough to contain the terrible truth that lies at the heart of Conor’s problems. This is a rich, multi-layered novel, compellingly written, a feast for thinkers, especially those who enjoy pondering a book after they have turned the last page. TOREY says that although the story is entirely fiction, she wrote it to explore her own experiences with creativity. She had a very vivid fantasy life as a young child which started much the way Laura's did in the scene from the book and it carried on well into her twenties. She says that also, like Laura, she used to "drive people nuts" when she was an adolescent by making up scenarios and characters and "testing" them in real life to see if they were realistic. 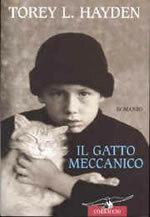 Originally THE MECHANICAL CAT was not accepted for publication in English. Now published in the UK titled OVERHEARD IN A DREAM. 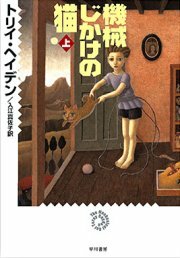 In rejecting the novel, her publisher told her this was because the book did not fit into an existing genre. It was actually described as "too novel". 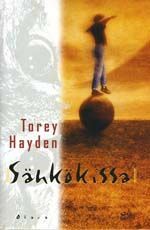 As a consequence, the book haSd its world debut in Sweden, followed a week later by the Italian publication and in Finland. 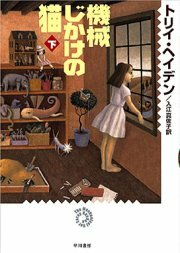 Now published in Japanese, it has gone on to become a best seller in all four countries.